In the wake of a direct military assault, the lives of the 400,000 civilians in the city will be in danger, the organizations have warned. 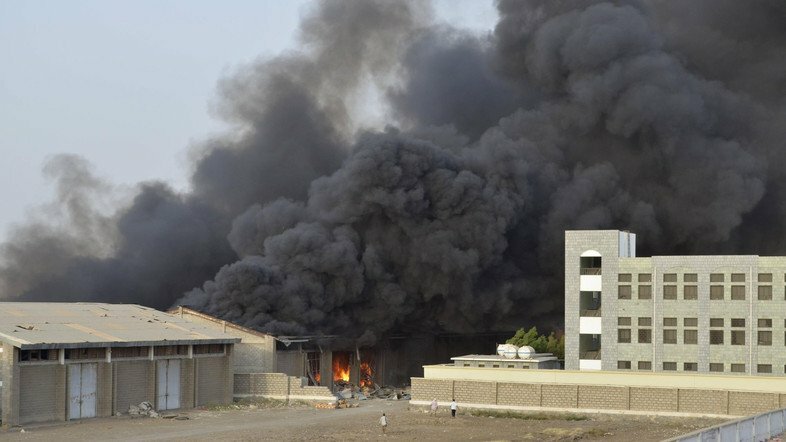 International humanitarian organizations have warned that an imminent attack on the Yemeni port city of Hodeidah by a coalition of forces led by Saudi Arabia and the United Arab Emirates could lead to a major humanitarian disaster. 90% of the country’s imports enter through Hodeidah. Around 17 million people in the war-torn country are estimated to be food insecure, which has led to the largest humanitarian crisis in the world at present. An estimated 8 million civilians in Hodeidah are on the brink of famine since the city was subjected to a Saudi-led blockade in 2015. The complete sealing off of the port in November 2017 pushed an additional estimated 3.2 million people into hunger, according to the World Food Programme. The United Nations Humanitarian Coordinator in the country, Lisa Grande, has said in a statement on Friday that a military attack or siege on the Red Sea port city could lead to nearly 250,000 deaths. The United Nations is also attempting to prevent the Saudi-Emirati assault on the port city. The UN fears that besides the humanitarian catastrophe that will befall the people of Yemen, the assault could also hamper the progress made in recent negotiations. Saudi Arabia and the UAE allege that the Houthis use Hodeidah to smuggle Iranian-made arms into Yemen. These accusations have been rejected by the Houthis, as well as by Iran. The UN special envoy for Yemen, Martin Griffiths, had recently traveled to Abu Dhabi to try and get the attack called off. Griffiths had reached an agreement with the Houthis who control Hodeidah according to which they would allow the UN to operate the port.